For our events we offer a spectacular 47-foot Ferris Wheel that seats up to 36 people. It can be fully illuminated and looks great at night. Big Round Wheel will provide everything, including the power source, for one flat fee. This is a great attention getter for events and marketing! There is no other way to host a festival or fair than with a ferris wheel! 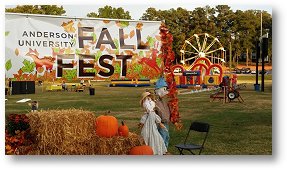 If you're town or city has a yearly festival or your county has a fair every year, be sure to ask us about our flat rates and see how our ferris wheel rental can add that finishing touch to your fair or festival. Kids will love it, and parents will like the fact that there is a ride they can enjoy with their kids! Whether large or small, a ferris wheel can benefit any type of fundraiser. If you are looking for a way to attract visitors to your event, what better way than a 47 foot ferris wheel in the distant skyline? Or maybe a dollar a ride is a great way to make some extra money? In any case, having a ferris wheel on-site can help make your fundraising event a success. A lot of large churches have yearly events, whether it's a fundraiser or a block party to allow for fellowship, and our 47 foot ferris wheel could be the star attraction. With our flat rates, it's easy to rent a ferris wheel and turn that church function into a community wide event. Large School Functions and Family Reunions are a couple other events we find that a ferris wheel can work really well at. If you are ever wondering if renting a ferris wheel for your event is a good idea, please give us a call and discuss it with us, we are glad to help!